December 3 from 7:30 to 9:30 a.m.
Join the Broncos student-athletes at the first annual Broncos Scholarship Breakfast on December 3, from 7:30 to 9:30 a.m. in the Frank Grisdale Hall Gymnasium at Olds College. 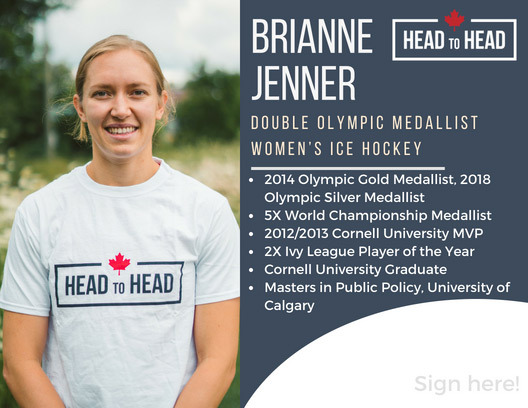 Support your Broncos by spending your morning enjoying a hot breakfast served by student-athletes, with special guest speaker, Women's Hockey Olympic Gold Medalist, World Champion, Clarkson Cup Champion, and Head to Head Olympian ambassador — Brianne Jenner. All proceeds go towards supporting student-athlete tuition scholarships. Deadline to purchase your tickets is November 19, 2018.